Gasshuku – 2 or more days of consecutive training. It is safe to say, that the 2018 Gasshuku was absolutely one of the biggest and best yet. We all set off with a clear aim in the mind: have the most fun possible, whilst learning as much as we possibly could. DAY 1:On Saturday at 9.30am the coach was ready to depart (apart from a few latecomers) and we were at the venue with the dojo set up by 1pm. After a quick lunch, we were given gasshuku tshirts and assigned cabins. We were in full Gi by 4pm and ready to train. Graders were taken aside almost immediately with those grading for 1stKyu first, then Shodan and then Nidan. 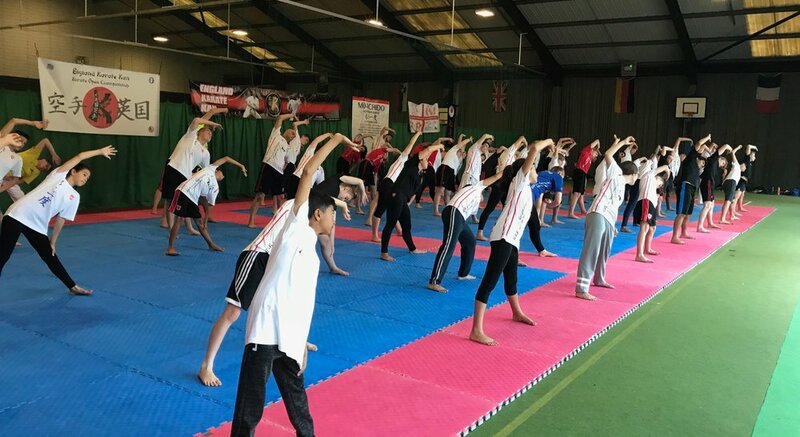 Whilst gradings were going on, Sensei Andrew Kanias put the rest of the attendees through their paces with fitness and stretching exercises which allowed time to truly prepare for the days of karate to follow. After 1stkyus were done, they rejoined the class. After this, it was down to the Shodan and Nidan graders to show the grading panel what they had learned and how they had prepared for this day. After a difficult and intense few hours, it was dinner time for everyone. We put down our (metaphorical) tools and went to switch off with a team meal. We returned to the dojo and did not leave again until both Shodan’s and Nidan’s had finished the first part of their grading, this was around 10pm. Exhausted and feeling a bit battered, we all went to our cabins for some well earned showers and some much needed sleep. DAY 2: 6am knocking on our doors was a tough wake up call for almost all of us. After the difficult day we had on Saturday, we were expected to be in the dojo ready for 7am speed and agility to start the day. After some grumbling about being hungry and tired (and some of us outright refusing to engage in any conversation), we all put 100% effort into it and did 45 minutes of high intensity work before breakfast. The grumbling soon stopped and, after some food, we felt energised and ready for the first full day at the gasshuku. Part 2 of the grading for Shodan and Nidan began at 8.30am, so there really was no time to continue the whinging. It was straight back to work for all of us. Whilst the non graders had some rest time after breakfast, the grading continued in the dojo. A few hours later and the grading was completed. The panel were hard at work making decisions and picking out details, whilst the graders returned to the rest of the class and left their fate in the hands of the senior instructors. In class, we did masterclasses on how to disguise and use all kicks, and then moved on to the detailed analysis of one of the most “simplistic” katas. One of the students who joined us from our sister club in Wales said: “The kata session blew my mind. I had never thought of it like that and it’s so different for me now.”, a true testament to how valuable this time was. As a treat, we were sent to do activities outside for the afternoon to take our minds off karate and allow everyone some good old fashioned climbing fun. We took part in 2 activities: All Aboard and the Climbing Wall. Both activities called for lots of team work, lots of courage and some brave climbing. As if we weren’t being brave enough signing up to 4 days of consecutive training! Whilst we were doing this, the 4thDan grading was going on behind closed doors. The most emotional evening followed on Sunday, and we had the presentations. Some tears, many sighs of relief and 2 hours later, the graders had all been passed. Lots of targets for the graders and many aims to reach, but for now – acceptance of the new grades was granted by the chief instructor. We welcomed Shodans, Nidans and, for the first ever time at EKK, Yondans. The paparazzi (parents and friends who had come down for the evening) took many, many, manypictures and we went to bed exhausted, ecstatic and slightly blinded by all the flashes. DAY 3: Once again, 6am came around FAR too fast. We lazily bumbled to the dojo, to be greeted by speed and agility which was even more challenging than the day before. Again, we got to it and again, we were begging for coffee (Water for the under 16s…) by the end of it, and a sit down. We spent the day learning 2 new katas and the whole club was engaged in either a new Shito Ryu or Shotokan kata. With at least one, some with 2, new katas under our belts we felt we deserved a good old dance off. When the day was over, we headed to the other place where we all exceed expectations… the dancefloor. A cha cha slide, a macarena and a ‘Kiki, do you love me?’ kept everyone entertained and we continued our weekend of bonding by laughing at the fact we all in fact, have 2 left feet. Apart from Sensei Enzo… obviously. A great night was had by all, and this time we went to bed feeling elated and surprisingly much less tired than other nights! Day 4: Finally! The emotions were an extremely mixed bag on the last day. We were excited to get home and have a shower for longer than 5 minutes but also, a bit like Stockholm syndrome, we had become rather fond of the 6am wake ups… okay, maybe I won’t go that far!! After a lie in and a quick breakfast, we packed with super speed, stripped our cabins and headed down for our last session of the Gasshuku. The punchbags were taken from their homes and used on this final day to make sure we really did have the stamina to kick and punch something after 4 days of learning how to effectively throw a punch or kick. We were put through our paces, and came away feeling confident with one thing – that we needed a shower. After this, it was pack up time. The mats were taken up, the van was loaded and the journeys home began. I can safely say that there were a lot of tired faces travelling home that day, but at least everyone was happy too – or happy to be heading home at least. To summarise, and repeat my earlier statement, the 2018 Gasshuku was a hit. There were many successes, both inside the dojo and outside, and everyone went home happy, proud, exhausted and a little bit stinky. We look forward to next year, but in the meantime please make sure you welcome the 2018 Gasshuku graders when you see them! EKK AASSOCIATION 2K17, THE JOURNEY. Back to competition after a long summer break the England Karate Kan Association Squad with much needed matt time impressed as usual. Although fitness and Karate techniques were not at the level are looking for the squad needed to start somewhere and this was the perfect competition to do so. 12 x Gold , 8 x Silver and 4 Bronze Medals. Well done to everyone that competed and also our Competition coordinator and of course the Organisers for inviting us. Al Classes will be back to normal on the 4th September 2017. 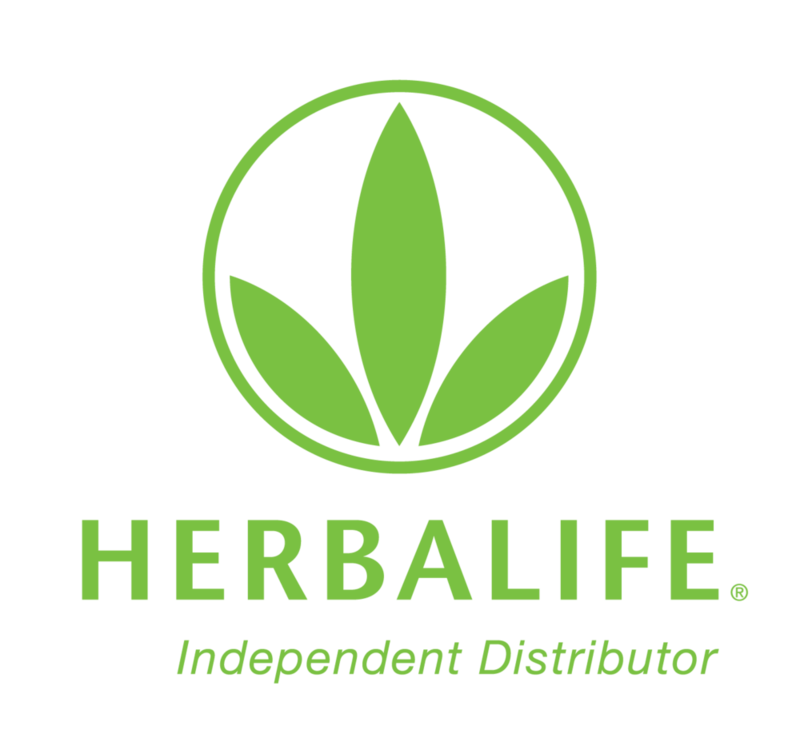 For more info please go to our class schedule to see classes information. For more information regarding classes please go to Academy Link then classes. All classes are now closed for the summer break. We will be Back on September the 4th usual time. EKK Senior Instructors wishes each and everyone a pleasant Summer Holiday. After 3 and 1/2 Months of preparation the EKK squad took to the mats for the first time this year (2017). Although still too early to predict the improvement made we didn't fail to impress on some very good performances in the Kata section and the Kumite also. 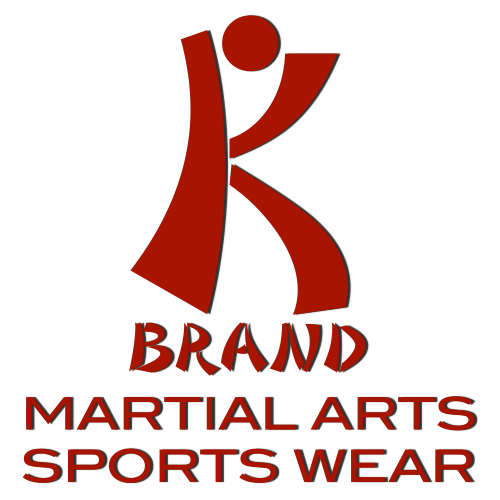 The EKK Team , sponsored by the K-Brand Martial Art Sportswear returned to base after two long days with some good results. 15 Gold, 6 Silver and 6 Bronze and a best team Trophy too. The Team is back in the Dojo to continue their preparation for further tournaments through out this year. Thanks goes too Coaches, Referees and the Competition Coordinator for their continued hard work as always. Finally to the parents and supporters that they believe in the Association. 2016 has been a year of surprises on all fronts around the Globe, but the EKK National Karate Team did not surprise anyone with the consistent performances around our country (England) and abroad. In all we did 11 competitions from February to December and we managed to achieve 174 medals. We at EKK Association are proud of this as the training that each one of our athletes undergoes it's truly unbelievable. This means that the Association in its 14 years of existence having trained many national and international champions makes the current squad by far the best ever produced by the EKK trainers and Instructors. A huge thanks goes to everyone's involved, it's a team effort. Together we stand. Let's make 2017 another record year. The EKK board of directors. Karate has been accepted as a olympic sport starting in Tokyo 2020. You can find out more about the Kumite and Kata competition olympic rules.